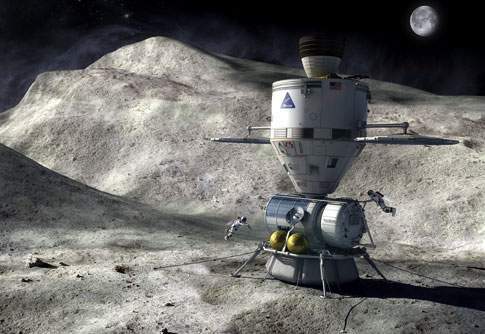 As NASA officially works towards a manned asteroid mission, NASA employees are asking “why bother?” (Credits: NASA). Two studies out this week cast a dubious eye on NASA’s current plans for its future. On December 4, the Space Foundation issued a report calling for NASA to establish a long term plan – and stick to it. “We think that if you’ve got your purpose clear, then it becomes easier for you to sit down and detail a 10-year plan and a 30-year plan that you stick to and revisit and revise as you make discoveries,” said Space Foundation CEO Elliot Pulham. That’s not what’s happening now. “As the space program has evolved, we have witnessed frequent redirection and constantly shifting priorities at NASA, mixed signals from Congress and the administration, organizational conflicts and the lack of a singular purpose, resulting in a space agency without a clear, stable direction,” according to the report. On December 5, the US National Research Council (NRC) released a study, requested by the US Congress, highlighting another problem with NASA’s current goals: NASA’s employees don’t seem to like them. And, apparently, neither does anyone else. “There is no national consensus on strategic goals and objectives for NASA,” according to the report. “Absent such a consensus, NASA cannot reasonably be expected to develop enduring strategic priorities for the purpose of resource allocation and planning.” The NRC particularly highlighted the manned asteroid mission in NASA’s official pipeline as a source of contention within NASA itself. While everyone can agree on a Mars mission, many would rather return to the Moon as per the Bush-era Constellation plan, than make a trip to an asteroid, says the NRC. NASA’s official response to the critique? “While we are still reviewing the details of the interim report, NASA generally agrees with its observations,” the agency reported in a statement. The reports come at a time when everything about NASA seems swathed in uncertainty. NASA’s budget has been under duress for years and is likely to continue to see cuts. Just months ago, NASA pulled out of Mars missions such as ESA’s ExoMars, but with the success of Curiosity, they now seem to want to redouble efforts in that direction. There are ever louder rumors of NASA Administrator Charlie Bolden falling into disfavor and being replaced. And there are increasing signs of dischord within NASA and between NASA and President Obama, as witnessed by the recent discovery that the Earth-Moon L2 deep space station mission NASA is developing has not been sanctioned by the White House. Many in the space world seemed relieved when the US presidential election resulted in President Obama retaining the office for a second term, simply because it guaranteed no major shakeups. However, it’s looking more and more like a good shakeup is precisely what NASA needs. Followed by a long stretch of no shakeups at all.